The Nuts & Bolts Occlusion DVD will provide you and your team with not only the understanding but also the skills that you need to put it to use. You will learn all of the best tips & tricks from all of the major institutes on how to get your cases mounted and ready for comprehensive care. 3 articulation systems, techniques from Dawson, Pankey Spear, Kois & others all on live patients. FUNCTION, PARAFUNCTION & WHAT THE FUNCTION?! Broken second molars? Lost occlusal reduction? Fracturing lateral incisors? If you would like insight not only why it is happening but what you can do about it, this is the webinar for you. Are poor impressions, re-takes and re-makes pushing you to the edge of insanity? 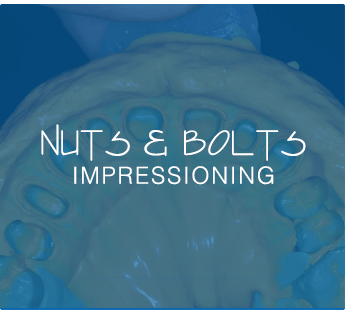 Relax, step back and join us for this practical and impactful webinar on Nuts & Bolts Impressioning. It will change the way your practice and maybe even help drop your blood pressure a bit. Excellence in impressioning can be efficient, predictable…and Possible! Are you experiencing that for all of the effort & logical that you put into our treatment recommendations, patients still say no far to often. 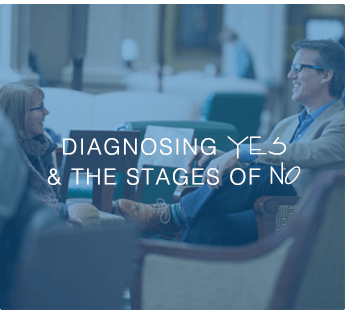 This webinar will help you diagnose Yes & understand the stages of No. 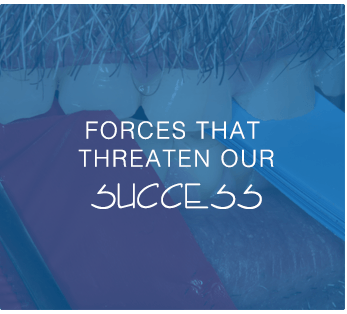 You will take away simple skills and philosophies that will have an immediate impact on helping your patients more informed choices in their dental health care. Want to attend a live class? Click here.